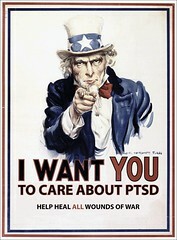 Stigma remains a significant barrier to troops who need mental heath care, and there are not enough mental health professionals to care for troops exposed to multiple and stressful combat tours, according to findings announced by the Defense Department Task Force on Mental Health. The report from the task force also said the military does not have enough money or personnel to fully support service members and families who suffer from post-traumatic or combat stress. “This is really job No. 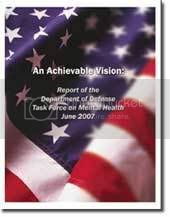 1 for me to make sure we do everything we can to continuously improve our care” for service members, said S. Ward Casscells, assistant secretary of defense for health affairs, during a June 15 briefing at the Pentagon. Stress is an “absolutely normal” reaction to combat, Arthur said. “Not since Vietnam have we seen such intense combat,” he said. “We expect people who come back from combat will have post-traumatic stress.” The key is making sure they get the help they need before it becomes a disorder, Arthur said. “Post traumatic stress is a problem if it’s not treated properly,’ he said. The Army announced June 15 that in July it will unveil an extensive educational program for all soldiers and leaders on PTSD and traumatic brain injury. Leaders also will establish Warrior Transition Units at major Army installations nationwide for wounded or ill soldiers, and consolidate medical hold units for active Army soldiers and medical holdover units for National Guard and Reserve soldiers into those Warrior Transition Units. The report from the task force “validates the work we have been doing inside the Army,” said Maj. Gen. Gale Pollock, commander of Army Medical Command and acting Army surgeon general. The Navy and Marine Corps have studied ways to overcome barriers sailors face when they seek care, said Rear Adm. John Mateczun, deputy surgeon general of the Navy. The service has embedded mental health support with units in theater and senior leaders are reviewing the transition process for sailors coming home from the war zone, he said. In addition, the Navy has opened 13 deployment health centers, staffed by mental health professionals, near the Navy’s deployment centers, Mateczun said. These centers are a “non-stigmatized portal” for sailors and families who are seeking mental health care, he said. Four more centers will open this year. Stigma “is a pervasive problem and we hope to find new ways to deal with the questions people have in their minds about mental health care,” Mateczun said. The issues studied by the task force also have been looked at by the Air Force, and “it’s not a medical issue for the Air Force but a community issue,” said Maj. Gen. Bruce Green, Air Force deputy surgeon general. Read the rest. Every move forward is beneficial.